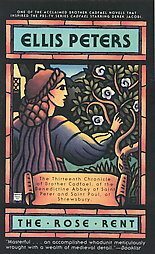 late spring in 1142 brings dismay to the Abbey of Saint Peter and Saint Paul, for there may be no roses by June 22nd. 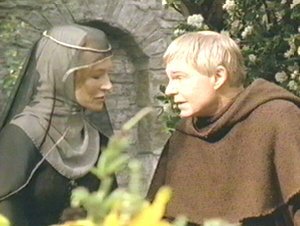 On that day the young widow Perle must receive one white rose as rent for the house she has given to benefit the abbey or the contract is void. 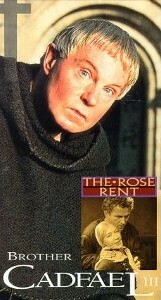 When nature finally complies, a pious monk is sent to pay the rent-and is found murdered beside the hacked rose bush. 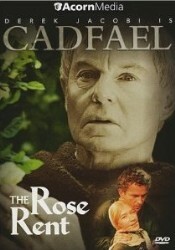 The abbey's wise herbalist, Brother Cadfael, follows the trail of bloodied petals. 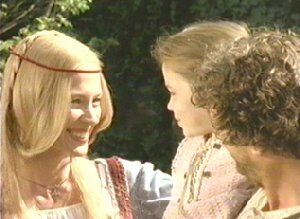 He knows the lovely widow's dowry is far greater with her house included, and she will likely wed again. 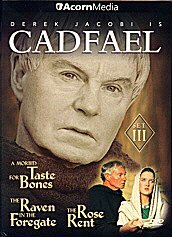 But before Cadfael can ponder if a greedy suitor has done this dreadful deed, another crime is committed. 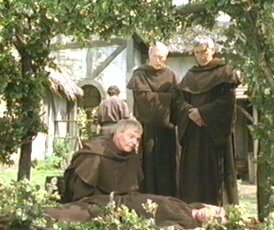 Now the good monk must thread his way through a tangle moretortuous than the widow's thorny bushes-or there will be more tears.